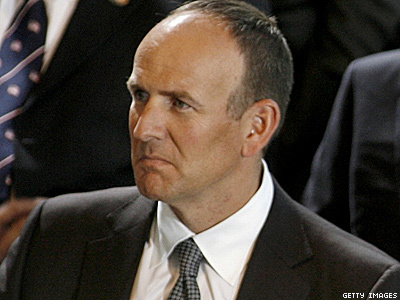 A new boycott has been launched after it was discovered that Doug DeVos, co-owner of health and beauty company Amway, has given $500,000 to the antigay National Organization for Marriage. The Doug and Maria DeVos Foundation gave to several schools and organizations like Michigan State University and the Make A Wish Foundation. They also donated an unrestricted $500,000 grant to the National Organization for Marriage Education Fund, tax records recently revealed. Prominent gay activist Fred Karger announced the campaign last week on at the 2012 UNITY conference and through BoycottAmway.com. In an open letter to DeVos, Karger wrote that a boycott against Chick-fil-A and Amway was just like NOM's boycott efforts against gay-supportive companies like Starbucks and General Mills. "We will work with individuals and other organizations to conduct a world-wide boycott of Amway, Alticor and its sister companies Quixtar Incorporated, AccessGroup LLC and all of their subsidiaries and other DeVos family owned companies." The list of affiliated companies includes Amway brands like Nutrilite vitamins and Laura Mercier cosmetics, as well as other brands like the Orlando Magic and the Fox Automotive Group. A statement from Amway defended the family's donations. "As private citizens, the DeVos family supports causes and organizations that advocate for policies aligned to their personal beliefs," the company said according to ABC News. However, Karger counters in his letter to Amway that while DeVos and NOM have the right to donate to whomever they choose, and to express their own beliefs, " so do we."